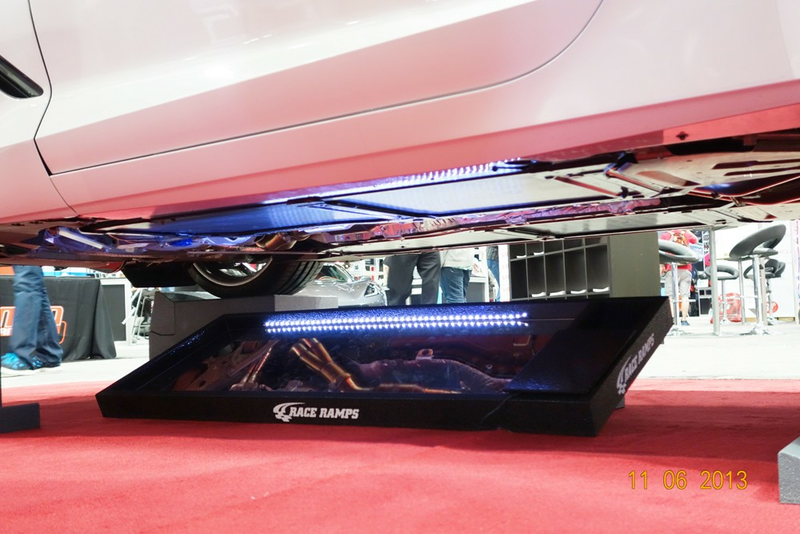 Use our Show Mirror to give the spectators and judges the most impressive view of the underside of your car. 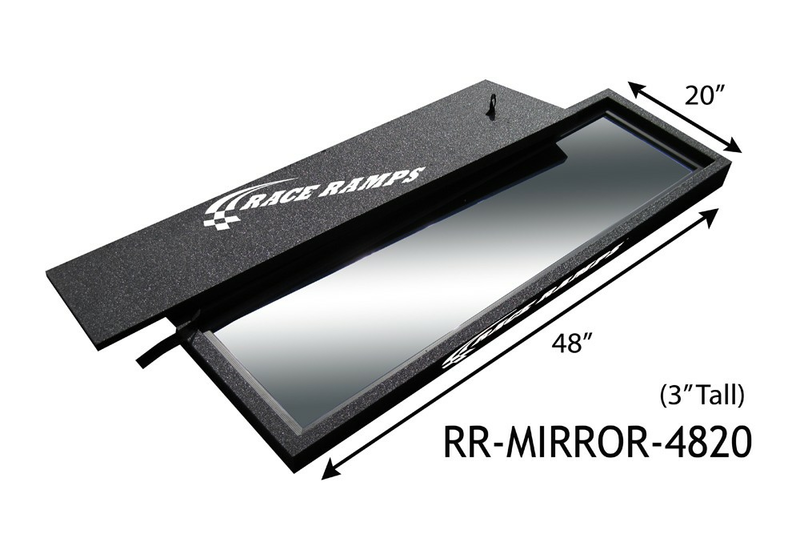 The large, acrylic flex mirror is mounted in a lightweight, durable frame that provides a rugged, yet stylish package. 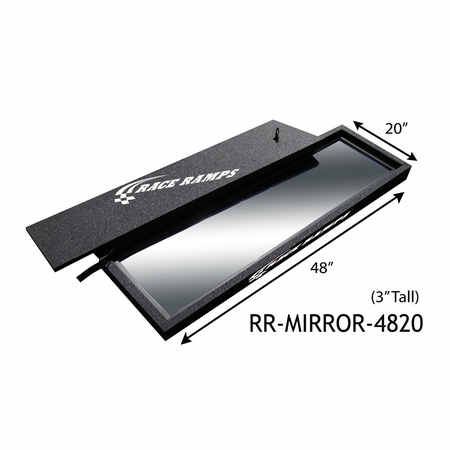 With a specially-designed travel cover that fits securely over the mirror, it's never been easier to use, transport, and store a mirror. 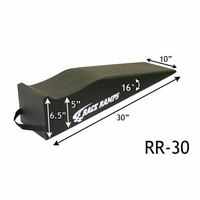 There is no worrying about it breaking, and it weighs under 30 lbs. 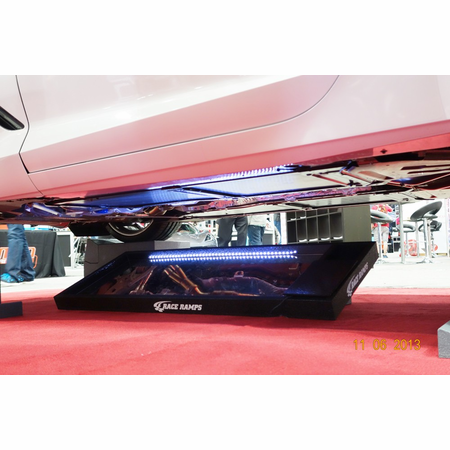 The Show Mirror provides a 48" by 20" footprint for a large under-vehicle viewing area. 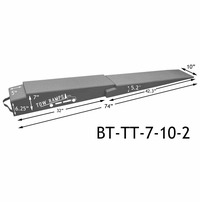 Use it with Race Ramps' Show Cribs, Show Ramps, or the Portable Pit Stop Ramps for a stunning display.